The eighth annual Electric Zoo Festival attracted a reported 83,000 EDM fans to Randall’s Island Park in New York City over Labor Day weekend with a lineup that featured many of the genre’s finest, including Tiësto, Hardwell, The Chainsmokers, Bassnectar, Porter Robinson, Steve Aoki and many others. According to festival organizers, this year’s event marked the highest attendance since 2013, included a fully sold-out Sunday crowd of 33,000, and drew ticket holders from 90 countries and all 50 US states. Working closely with Backbone International, the technical producer for this year’s festival, Milwaukee-based Clearwing Productions provided sound reinforcement and lighting for the entire event, supplying the Main and Riverside Stages and the Hilltop Arena and Sunday School Grove tents with L-Acoustics K1, K2 and Kara PA systems. Of particular note, the two largest stages—Main and Riverside—benefitted from the deployment of L-Acoustics’ new KS28 reference subwoofers powered by the company’s equally new LA12X amplified controllers housed in LA-RAK II touring racks. “EDM festivals like Electric Zoo demand accurate, even, and powerful LF throughout the entire audience area, and the new LA12X-powered KS28s paired with our LA8-powered K1-SB arrays accomplished this task with ease, delivering extremely smooth frequency response and truly impressive SPL levels,” said Joe Spitzer of Clearwing, who served as the Main Stage tech, along with Phil Reynolds. Robert Hegge, who served as Riverside Stage’s tech, along with Jeff Mayer, was equally impressed with the new subs. 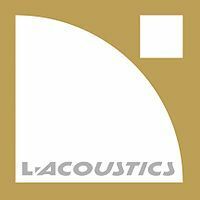 According to Bryan Baumgardner, head of audio operations and logistics for Clearwing Productions, the choice of L-Acoustics was very much dictated by the artists,. “When you have Tiësto and acts like that, they all pretty much demand L-Acoustics. So that’s the number one reason: rider acceptability,” said Baumgardner. This year, Electric Zoo adopted a “Wild Island” theme. The outdoor Main Stage, constructed in the shape of a giant cobra rearing back to strike, featured two main PA hangs, each comprising 12 L-Acoustics K1 plus two K2 down fills, backed by separate arrays of eight K1-SB LF extension cabinets, all powered by LA8 amplified controllers. Down below, a dozen KS28 subs per side were grouped in fours, flipped upright with 1.5-foot spacing between them—with eight more located in the center, configured as an end-fire array—all powered by LA12X amplified controllers. Six groundstacked K2s per side plus a dozen ARCS II provided additional fill. ara per side plus eight SB28 subs, with fill provided by two ARCS Wide, and with four X15 HiQ delays. Three LA-RAKs. L-Acoustics speakers, which have become the monitors of choice for many of the world’s EDM artists, featured on all four stages at Electric Zoo. The Main Stage DJ fill included four Kara enclosures stacked over two SB18 subs on each side of the DJ position, plus four X15 HiQ wedges out on the stage, while the Riverside Stage was equipped with three Kara over two SB18 per side, plus eight X15 HiQs. The Hilltop Arena monitor rig was identical to the Riverside Stage but included an additional SB18 complementing the wedge monitors for the musicians. DJ foldback at the Sunday School Grove tent comprised two X15 HiQs and a pair of SB18 subs. Clearwing crew at the festival included account executive Steve Harvey and production manager Charly Brems. Clearwing’s support for the L-Acoustics systems was provided by Phil Reynolds and Joe Spitzer (Main Stage); Robert Hegge and Jeff Mayer (Riverside Stage); Chris Bloch and Nik Votichenko (Hilltop Arena); and Harrison Ruhl (Sunday School Grove).